Reliable access to internet-connected computers has been critical to our success with NaNoWriMo. Thanks to a generous grant from a local foundation (Petaluma Educational Foundation), I have a full set of laptops in my classroom. 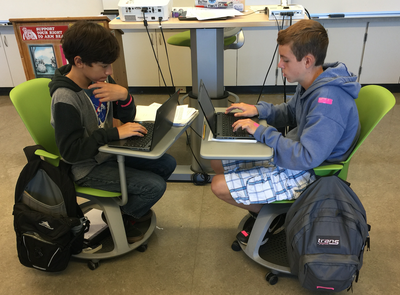 Prior to the grant, we wrote in our library's computer lab, but we've discovered the tremendous benefits of having devices in our room, available to us any time we need them. Although our students are often called "digital natives," I have discovered that they really need a great deal of direct instruction from adults when it comes to safe, appropriate, and academic uses of technology. If you haven't tried integrating technology into your curriculum, or you have and you're wondering why it can be so frustrating, you might find it helpful to read my blog post about the Myth of the Digital Native. When students sign on with NaNoWriMo, they get their own profile page, similar to a profile page on a social network. This is the perfect opportunity for us to teach students how to create online accounts (think appropriate usernames and secure passwords) and participate in online sites safely and appropriately. 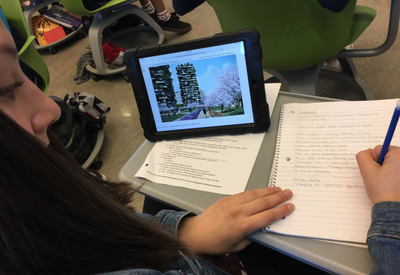 Teachers can create virtual classrooms on the YWP site, which allows students to check in on their peers' progress, as well as participate in online discussions moderated by their teacher. This turns the solitary act of writing into a social, collaborative activity. Students share their story ideas in an online discussion on the YWP site. The YWP site motivates writers with Pep Talks from popular YA authors, writing challenges and prompts when they get writer's block, and daily updated graphs of their progress towards their individual goals. It's like every student gets their own personal cheerleader to support them through the process! Fun prompts keep students working through writer's block. Google docs are saved within their Gmail accounts, which meant no one loses their writing and no dogs eat any homework. Students "share" their novels-in-progress with me via their Google doc, which means that I can check in on their writing at any time during the process. I don't have to collect any rough drafts or interrupt their writing, and I can give them feedback in the margins of their document, next to highlighted sections of their writing, during the writing process. Students can also "share" their writing with others via Google docs, meaning students can get ideas from each other without disrupting the rest of the writers in the room. 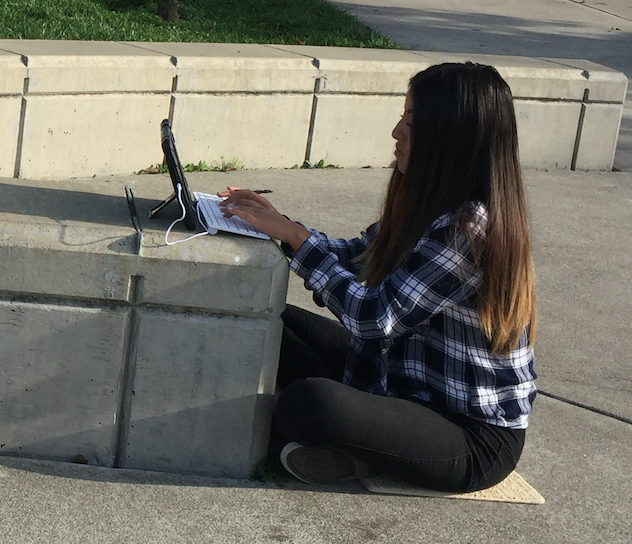 Since the students write every day for a month, they get lots of word processing practice, and increase their skills and comfort level with online work (email, online accounts, etc.). submit information for publication of their book on Amazon.com. check your area for funding sources: education foundations, businesses, parents, etc. consider offering NaNoWriMo as an after-school club; maybe you could use a computer lab, or students could write at home and meet as a club to discuss the process and their stories. A small group of students fired up about NaNoWriMo may be the impetus you need to get technology in your classroom! Novels published by Laura's students.